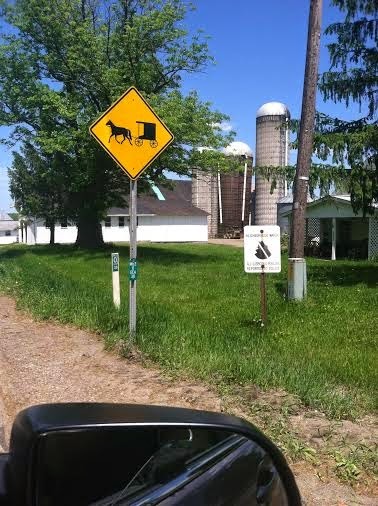 When you enter an Amish neighborhood, the traffic scene changes. 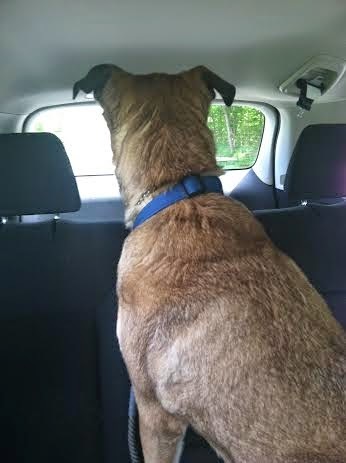 If there's a dog along for the ride, the sight and sound of buggies zooming past his open window could wake him up. You may find yourself coming up with questions like: "Do Amish children know who Beyonce is?" and "Would the Amish guy who just pulled his buggy into that BP station be allowed to pick up a non-Amish hitchhiker whose car broke down?" without getting any straight answers. You might later discover that all baptized Amish people had a choice about it; that Amish teenagers get a "running around" period, when they can try out the "outside world" before deciding whether to commit to the world they were born into. About 90 percent do come back to what's most familiar. As high as that percentage seems, how much different is it from what happens on the other side? Don't about 90 percent of young people who temporarily tiptoe away from all communities or sets of expectations return to them in the end? 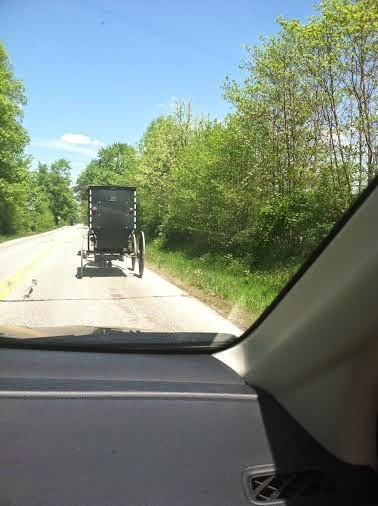 I would like to read a memoir essay by someone who represents the Amish 10 percent - now that's a story, a hook, as courage always is - but would settle for a long email that includes well-informed responses to my Queen B and hitchhiking concerns. Didn't have enough time to stop - if we did, I would have brought back one of your big cookies! Interesting topic. The running around period is often called "rumspringa." Considering how secluded the Amish are, it is surprising that at one point in the last decade there was rather a lot about this on television. There were interviews and reality "following around" of both those who remained in the outside world and those who returned to the Amish world. What struck me was that the youth who were told to go out into the world were incredibly young, not much more than 16 or 17. They had little education and very little TV exposure to show them what the outside world was like. They could not drive an automobile. They had no money. They could not work a computer or typewriter, so they had no job skills that would get them hired for anything other than manual labor. Also, they knew that if they decided to stay in the outside world, they would never again be allowed to see their parents and siblings. A very painful thought. To me, the whole rumspringa thing was very calculated cruelty on the part of the Amish community. They knew the kids would have to come crawling back.There isn't really much "choice" in the situation at all. I'm surprised to hear that as many as 10% of the kids survived and remained in the outside world. I suppose some of the girls got married, and this enabled them to stay in the outside world. For the boys, about the only option would be farm work in order to remain in the outside world.